The Mountain, The Beast and The Last Tiger. From South Korea comes a tour de force, from the writer/director Park Hoon-jung (The Showdown, New World) in the form of a mountain and those that live upon it. And how the Japanese occupation impacts on that ecosystem as one man’s obsession changes the face of Korea for ever. With stunning CGI this a definite Must Own. 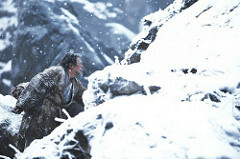 Mount Jirisan, Korea, 1915 and times are hard as families eke out a meagre existence hunting in the mountain forests. Chun Man-duk (Choi Min-shik, Oldboy, Lucy) is the greatest hunter in Korea and he lives with his wife (Eun-woo Lee, Moebius) and their new born son Seok (Yoo-Bin Sung, Sweet Sixteen). Even though he is the best, the family still struggle for food as Man-duk goes out in the winter snow to see what he can find, but he has a much bigger encounter than he was expecting. 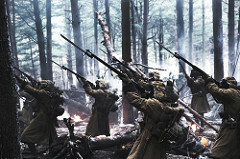 1925 and the Japanese have occupied Korea and the Government Official Maezono (Ren Osugi, Shin Godzilla) is in charge of this mountainous region. He has a fascination with the wolves and tigers of Korea and wants them all dead. To this end, he has charged the Korean born officer Ryu (Jung Suk Won, The Long Way Home) with finding and killing the ‘Mountain Lord’ but being Korean he is reticent to do it. 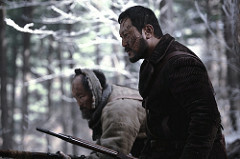 Back up the mountain Man-duk has given up his flintlock rifle after a tragic accident where his wife died and he was left to bring up his son on his own. He now collects medicinal herbs for the store in the nearest town, run by his friend (Hong-pa Kim, The Wicked Are Alive). Seok is now sixteen, but he is a frail youth and his father keeps telling him how lazy he is as he is always lagging behind. Seok doesn’t like being a hunters son or herbalist, he wants to marry Sun-yi (Hyun Seung-min) who lives in the town but her mother wants more for her daughter than a hunters son. 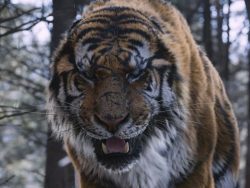 The Governor brings in a team of hunters lead by Hyun Seung-min (Man-sik Jeong, Chronicle of a Blood Merchant) and Chil-goo (Sang-ho Kim, A Good Rain Knows) and charges them with getting the job done as the tiger has taken more lives. Now there are bounties on anything with fur and even more for the Mountain Lord, enough to set up a home and live comfortably. This bounty is what changes the film as Seok wants to live the dream and be a part of the hunt and claim the bounty and his bride. But when you are facing the Lord of the Mountain you best be afraid very afraid. 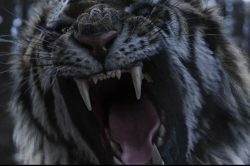 The cinematography by Mo-gae Lee (I Saw the Devil) and the editing bring this story to life and give it a feel of depth as we find out about Man-duk’s and the tigers true relationship. The CGI is stunning as you believe every bite and dismemberment as the hunters try to claim their prize. 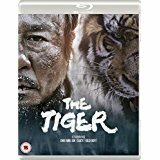 The Tiger is available on Blu-ray and DVD.